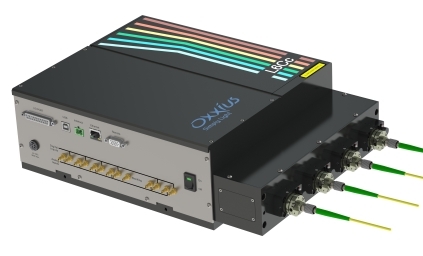 The LaserBoxx six wavelength laser module combiner from Oxxius, dichroicly beam combines four different diode and / or DPSS lasers and couples them into a single-mode fiber optic cable. 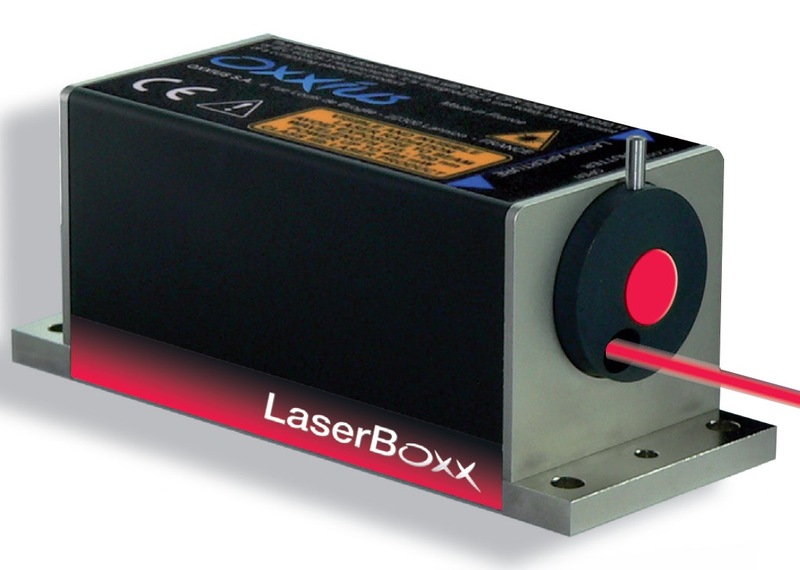 The standard LaserBoxx combiner can feature either a single output channel or two independent channels, which is often preferable when utilizing both ultraviolet and visible or infrared lasers in the same unit. This allows for the use of both low OH fiber and solarization resistant fiber to improve the throughput and lifetime of the unit. To ensure optimal fiber coupling RPMC Lasers recommends the use of either SuK® or Kineflex® fiber couplers and 0.12NA RGBV polarization maintaining fiber. The fiber output options are FC/APC or FCP8 connectors or free space collimators on request. Additionally, an optional extension module can be added to providing up to 4 output ports, and enhanced flexibility by integrating fast switching output ports for FRAP, adjustable split power for light sheet microscopy. 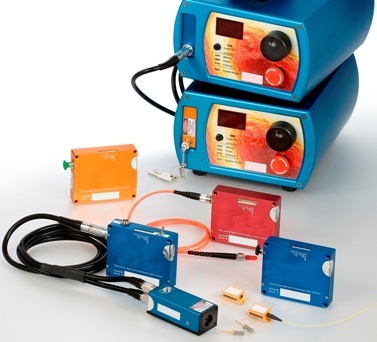 The LaserBoxx six wavelength laser module combiner is available in both OEM and turnkey versions making it ideal for both systems integrators and laboratory users. The unit can be directly modulated through analog and digital I/O or controlled by a computer graphical user interface via USB connection. All of these features make the LaserBoxx six wavelength laser module combiner an ideal source for applications like confocal fluorescence microscopy, flow cytometry, and DNA sequencing.